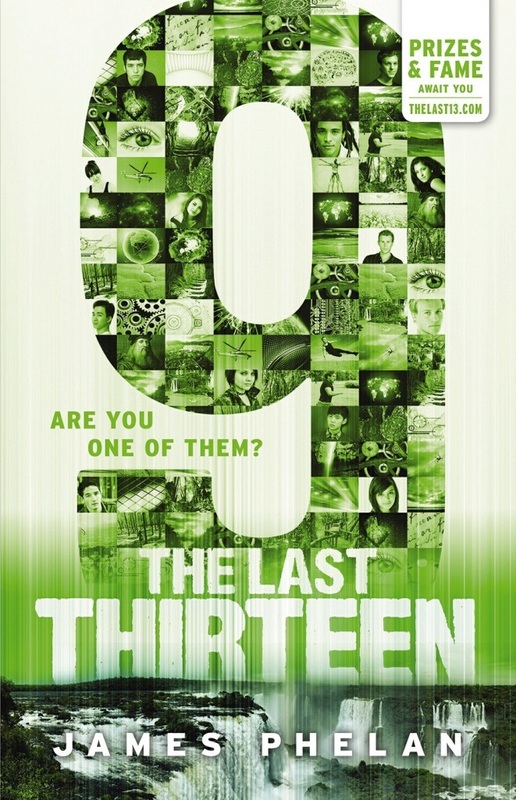 THE LAST THIRTEEN is a 13-part serialised thriller series for young readers (aimed at ages 8-15) and counts down from 13 to 1... this book, "9", is the 5th book in the series. Not this, anything but this. In the aftermath of their devastating tragedy, the Academy turns towards an unlikely ally. But Sam’s trust in everyone around him continues to be tested to the limits. Sam journeys to South America, his dream leading him to a long-lost ancient city. Hidden deep within the Amazon rainforest, he is forced to navigate deadly obstacles in pursuit of another Gear. Can Sam work out who the next Dreamer is in time, or will his enemies succeed once more? He must find the last 13. They must fight on. Smack. I swat the mosquito from my arm. Then another, ￼￼￼￼￼￼￼￼￼￼￼￼￼￼and another. I look around. A river. A boat. ‘Um, thanks,’ I say, surprise in my voice. ‘I’m Pablo,’ the man says. We shake hands. place the older man’s friendly face. ‘We saw each other, recently, but did not properly meet. I look around to get my bearings. We’re on a boat—a big, old ferry, stuffed with hundreds of passengers and tonnes of cargo, riding low in the brown water of what must be the Amazon River. The walkway where we stand is busy with passengers hurrying and pushing up and down the boat. Vendors have set up little shops on board, selling food and drink, trading wares and playing card games with customers. It’s a small floating village, chugging its way along the epic waterway. ‘I am here to tell you about this,’ Pablo says, warily taking a plastic-covered map from his bag. I recognise the map, and I instinctively look up at the staggered decks above us, making sure no-one is eavesdropping. ‘Perhaps with the right guide.’ Pablo looks from the map to me. ‘But I—I don’t know anyone in Brazil . . .’ I reply. Who could possibly be my guide here? I absently look at those around me, as if the answer will present itself in one of these faces—faces that all seem to turn towards me. Why are they all looking at me? I look around again—I can’t see anyone who looks like they could help me, although all the faces, old and young, are still looking back at me. The more I look, the more they stare back. The sky suddenly clouds over and the wind picks up a chill. ‘This . . . this doesn’t feel right,’ I say, backing away from the rail until I feel the solid timber wall behind me. The on-board commotion has dulled—they’re no longer going about their business, no-one is talking. ‘Sam, it’s OK. This is what happens when you start steering things. Come, follow me,’ Pablo says, and we make our way through the subdued crowd to the stern of the big weary boat, above the churning of the paddles in the water. It is so quiet now, we could almost be alone. The sun is retreating to the edge of space and the river starts to churn and bubble. The water eddies around the boat like some sort of giant water monster is down there. If this is my creation, then how do I control it? How can I stop what I know is coming? I try to calm myself. The world around us returns to as it was before. But I feel a shiver of fear run through me. Oh no . . . if I have imagined all this, what else will I conjure up? There is a loud, powerful engine noise from down the river somewhere behind us and Pablo stops talking. I search the horizon and see movement, squinting to make out the details. Could be anyone . . . but they’re sure in a hurry to catch up with us. ‘I think . . . I think it’s a friend,’ I say. The sun re-emerges and the birds start squawking again. brings them to his eyes. ‘Ah,’ he says, then passes them to me. I look—focus to find the little craft gaining in our wake. There are nine men in the speedboat—no, eight men, and a woman. The woman I know. It’s Stella, the leader of the rogue Enterprise Agents. ‘OK, not friends,’ I say, handing the binoculars back, pleased to see that all else around me is remaining calm and normal. Maybe I can steer this dream. Stella or not, I can’t go until I’ve got what I’ve come for. There’s a new sound coming from the direction of the jungle. A small speck has materialised into another boat, smaller, further away and slower, but also heading towards us. streaking up from the first speedboat. It shoots high into the air and then breaks apart, revealing several smaller warheads that all race down towards the ferry. My whole world is cloaked by fire and smoke and heat, enveloping me as I am thrown onto my back by the concussive wave. Through the shimmering heatwaves I see a dark figure watching on from the shore, the form as shifting and menacing as the flames that lick at my heels. I cannot see his face, but I sense that he is happy. I try to get to my feet. My breathing is ragged, panic rising from being surrounded by flames. The fire eats hungrily into the wooden structure of the boat. The wall, the floorboards, the ceiling above, are all cracking and groaning in slow disintegration. We are sinking. I am in the water, gulping breaths between mouthfuls of smoke and raging water. A lifebuoy floats past, just out of reach. I am under the waves. I see hands reaching down for me, twisting fingers searching through the water. I resurface briefly, gasping desperately for more air. Through blurry, water-stung eyes I can see someone reaching out to help.